training course on Volvo Penta IPS for yacht captains. The course will be held in English and was conceived to meet professional captains’ request for training, given the ever increasing number of yachts equipped with the IPS propulsion system. “Volvo Penta IPS continues to attract interest amongst professional yachts and super yacht captains” says Andrea Piccione, a marine sales manager at Volvo Penta. “This course was created to give captains the chance to discover the features of this innovative propulsion system”. “The course includes both theoretical and hands-on sections, which will be done with the support of simulators. Captains will have the opportunity to experience first-hand the onboard systems” concludes Andrea Piccione. “We have been relying on the Volvo Penta IPS propulsion system on all our yachts for years” says Barbara Amerio, owner of Amer Yachts. “We found that this excellent product still raises some questions among the more conservative captains. With this course, we would like to show them that this system is not only advantageous for the owners, but also for the captains themselves”. The course will be held at Confindustria Imperia, Viale Giacomo Matteotti, 32, 18100 Imperia, Italy. Places for this free course are limited, so booking is essential: info@gruppopermare.it or +39 0184 504050. Last year, Amer Yachts and Volvo Penta demonstrated how a premium propulsion system, combined with an innovative design, could create superyachts that offer exceptional fuel efficiency. 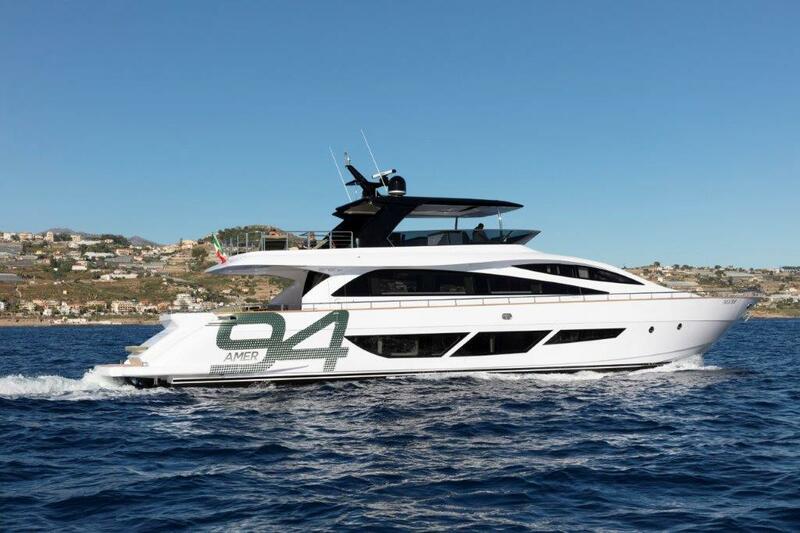 A 100-mile controlled journey from Viareggio to Sanremo saw the new Amer 94 superyacht reduce fuel consumption by more than 50 percent compared to a traditional shaft installation. This is the exceptional result of the combination of a design that is particularly lightweight and the extremely efficient and compact Volvo Penta IPS system. A revolution in boating Volvo Penta IPS has represented a revolution in marine technology since its launch in 2005. The company has continuously invested in the development of the system, in order to offer its customers more power and greater advantages. The innovative design of the system presents twin forward facing, counter-rotating propellers that deliver excellent grip. With individually steerable pods, the Volvo Penta IPS system offers unrivaled maneuverability, superior performance and reduced fuel consumption, emissions and noise compared to a traditional inboard shaft installation.